The SAE International DC “Combo” Fast Charge station installation at the Fashion Valley Mall in San Diego is a milestone for plug-in electric vehicles – the first public installation in the U.S. of an industry-coordinated standard for fast charging of plug-in electric vehicles. 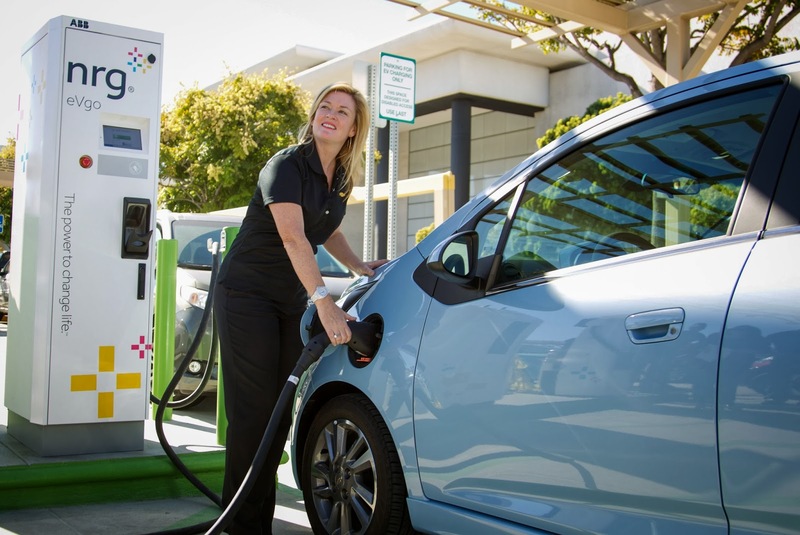 The Chevrolet Spark EV, available in California and Oregon, will be the first EV in the U.S. to offer the SAE International fast-charge connector as a vehicle option starting in late December. The new combined AC and DC charging, or combo, connector is accessible via a single charge port on the vehicle and allows electricity to flow at a faster rate, making EVs more convenient for longer trips and for EV owners who may lack convenient access to overnight home charging. 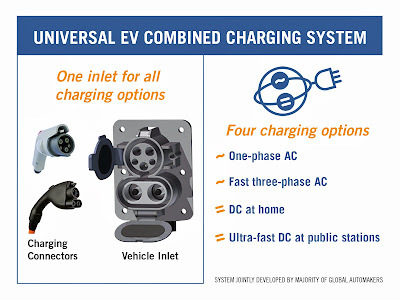 Many major automakers including GM, Ford, Chrysler, BMW, Daimler, Volkswagen, Audi and Porsche have announced they will adopt the SAE combo fast charge connector standard. Earlier, many of the world’s major automakers had adopted the SAE’s 120V/240V AC connector standard to assure plug-in vehicles could access all charging infrastructure regardless of vehicle make or model.